We are adding to our team in Springfield, MO! Currently seeking applicants for an experienced Controls Engineer in the Engineering Department of our Power Production Division. 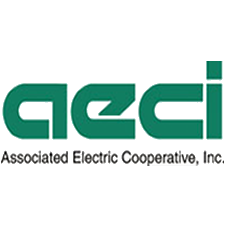 Principal activities include the assessment, design, review, modification and installation of power plant control and cyber security systems at all AECI generation facilities. Evaluate plant control systems for functionality, obsolescence and maintainability. Create and manage control system modernization projects through the complete lifecycle to ensure generation control system assets are sustained and improved. Provide plant control system support through the management of highly technical systems, interfaces and documentation to support power plant personnel. Develop and maintain ancillary systems and programs to sustain productivity in all areas of the business. Assist to develop, implement and maintain cyber and physical security to protect the generation assets from attack and corruption. Ensure all compliance requirements are met for NERC/CIP.